I always like to highlight when developers and partners extend our IBM Connections Cloud platform. Today I wanted to highlight VideoBio who have built a very nice solution to allow users to quickly share video messages with others. So how does it work? First, you can go to your profile, or someone else's profile and click on the VideoBio button. 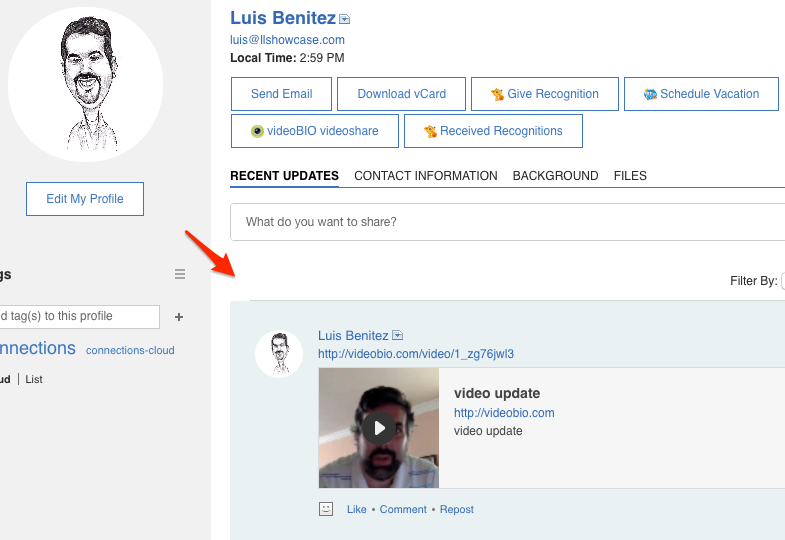 After recording the demo, it's automatically shared with your IBM Connections network and you can optionally choose to share via Facebook, LinkedIn, Twitter and more. !